Note: this post was originally published on the Hybrid Connect blog and the plugin used in it is Hybrid Connect. 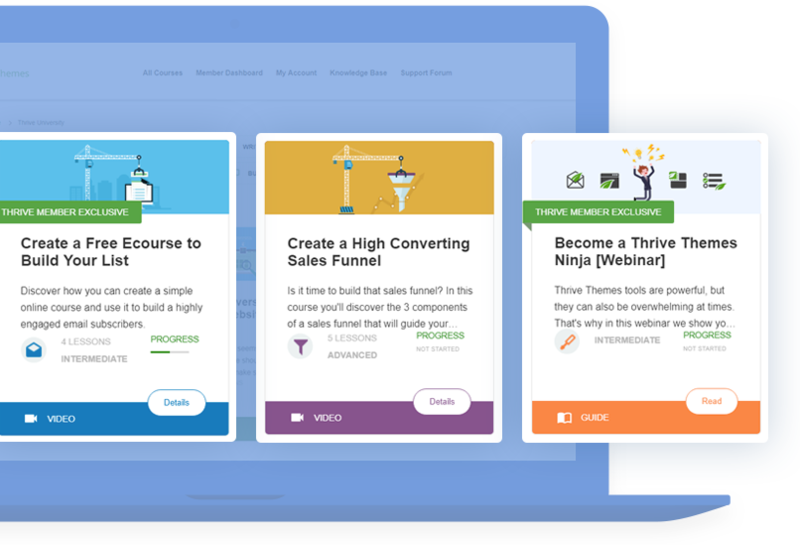 Thrive Leads is the successor to Hybrid Connect and it is a better and more powerful plugin in every possible way. So, the results you see in this case study can easily be replicated and improved upon using Thrive Leads. We’ve been writing a lot about new features, updates and how to use Hybrid Connect, lately. Sometimes, what the software does isn’t as important as what you can achieve by using it, though. For that reason, we are proud to introduce a case study, showing how our lead generation plugin made a huge difference to a customer’s website. The website in question is Mama’s Lebanese Kitchen and as the name implies, it’s all about delicious Lebanese food and how to cook it. As you can see, there was a rapid and significant increase in subscribers and the only reason that last bar is small is because the screenshot was taken at the very beginning of the month. I got introduced to Hybrid Connect through a post by Shane Melaugh on imimpact. I thought of using it for our food blog, Mama’s Lebanese Kitchen, but I was skeptical at first because of a prior bad experience with a similar software. I also didn’t know the folks behind Hybrid Connect. I decided to give it a shot anyway since it had a one month money back guarantee. And I was surprised! I configured and activated Hybrid Connect in late Sept 2012 and saw an immediate increase in email subscription activity. By the end of October, the Hybrid-Connect lightbox feature that we used had increased our email subscription rate by 10 fold! We went from an average of 30 subscribers a month to over 300 a month. By the end of November, this figure shot up to 360+ subscribers a month and I see it steady in December. The even better news is that the recent version of Hybrid Connect brought in a split testing functionality which allows one to test different versions of the same ad and determine which one has a better conversion rate. I’ve been experimenting with it and am seeing a performance improvement of upwards of 20-30% from the current new levels. I am really thrilled by the advantage Hybrid Connect has given our blog. It helped us double our mailing list in 2.5 months, and I’ve gotten the chance to test only the lightbox feature so far. It has a whole bunch of other features that I’d like to try when I get a chance. What I also like about Hybrid Connect besides its effectiveness and ease of us is the fast support. They usually answer my questions/cases within an hour to a few hours turnaround time which is not very common. This excellent support along with the steady stream of new features and the high quality in the software gives me the assurance that the software and its company are in for the long haul which is a good sign and protection of investment. To me though, the software has already paid off in its first month so it’s absolutely worth it. Thank you Shane, Paul and the Hybrid Connect team for an excellent product! How exactly was this achieved? Edgard chose one of the pre-built templates and replaced the background with an image of a tasty meal. He then set this opt-in form to appear as a lightbox on every post and every page, except the site’s homepage. The lightbox appears after 20 seconds, which means it’s only shown to visitors who’ve already decided to stick around. Finally, the cookie duration was set to 30 days, which means that if a visitor decides not to opt in, they won’t see the lightbox again for an entire month. And that’s all. It’s not rocket science, it’s just a great list-building tool applied the right way. I hope you enjoyed this case study and of course, whenever you’re looking for some Lebanese recipes for a mouth-wateringly delicious meal, you know where to go!